A daily massage is a moment of loving touch, and strengthens that special bond between you and your baby. 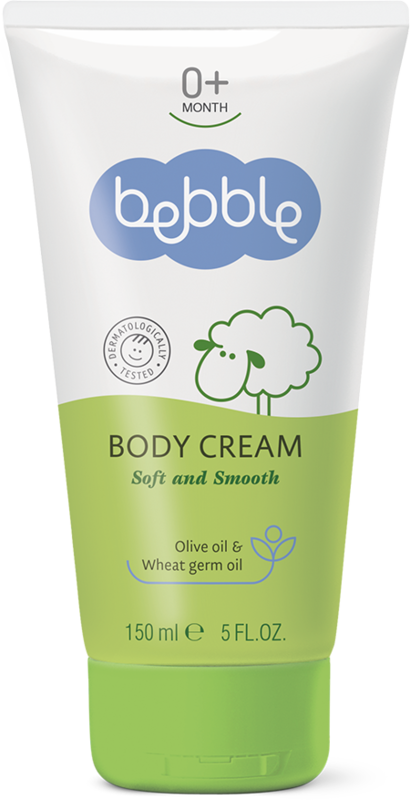 Massaging with bebble body oil will warm baby’s skin, boost circulation and speed up the metabolism. 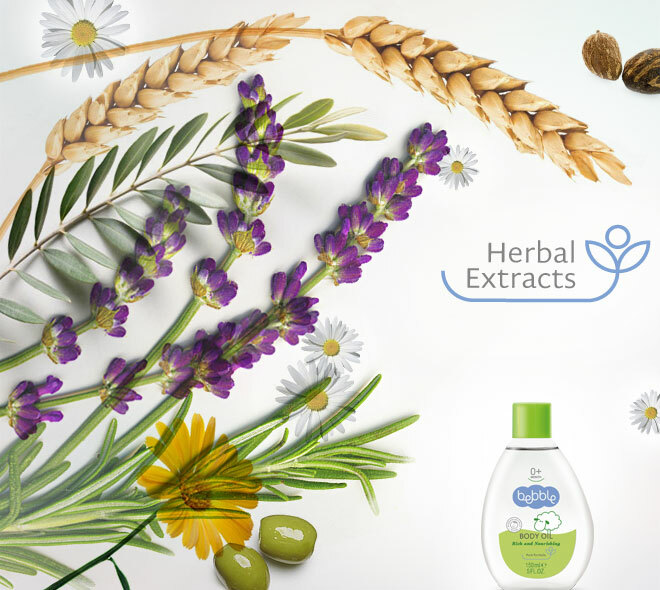 The light transparent texture gives a sense of purity and freshness, and added camomile keeps the skin soft and smooth. After bathing, gently pat dry your baby’s skin with a soft cotton towel or muslin square. Warm a small amount of oil between your palms, and smooth all over baby’s body with gentle massaging movements. 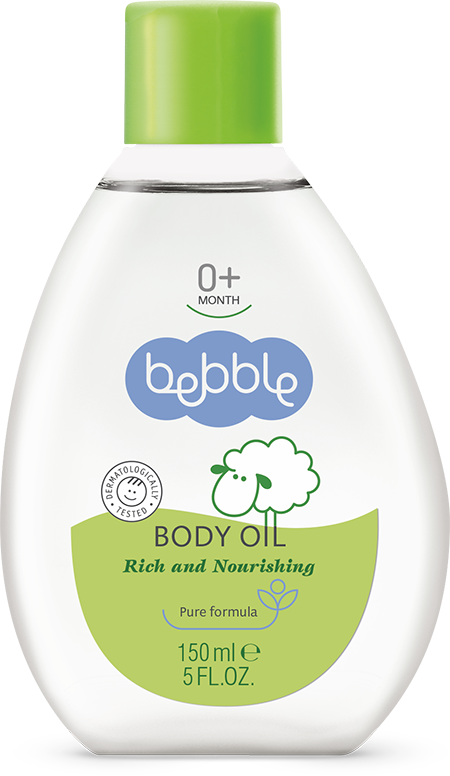 If your little one suffers from dry, flaky skin on the head, use bebble body oil to remove scales and soothe irritated scalp. Just apply the oil to the affected areas and leave for 5-6 minutes. Then gently remove flakes with a soft baby comb or brush, before bathing and washing with bebble shampoo. Bisabolol is a thick, colourless oily liquid that is the main component of the essential oil made from the German chamomile plant. It enhances the appearance of dry or damaged skin by reducing flakiness and restoring suppleness.